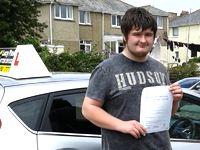 Well done Ben on passing your driving test, drive safely. 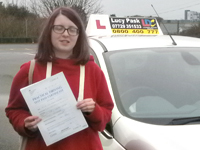 Well done to Hannah Reid on passing your test, congratulations again and safe driving. 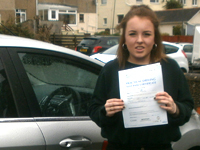 Well done to Hannah on passing your test, congratulations again and safe driving. 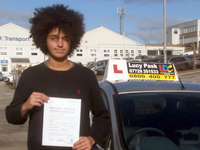 I learnt to drive with Lucy using the LDC system, it really helped me pass my test. 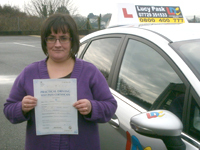 I enjoyed learning to drive with Lucy and I would recommend Lucy as a driving instructor with LDC. 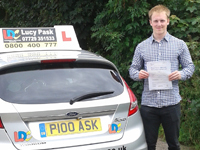 Lucy Pask has provided an extremely comprehensive driving instruction. 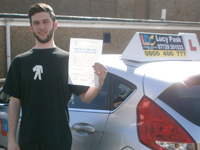 Which has allowed me to become a safe, competent and confident driver, and as a result enabled me to pass both my practical and theory test. When I started my driving tuition I had not had any driving experience and therefore needed to know all the basic skills. I was extremely nervous and Lucy was able to provide an action plan which enabled me to have a clear focus, gain the skills I needed to drive within a safe, structured and organised lesson. Lucy was calm and reassuring throughout lessons despite my anxiety, I would recommend Lucy as a driving instructor to all of my friends and family as she has proven to be a successful teacher and show compassion and professionalism in her role. I hadn't driven in 5-6 years and hadn't taken my test so I decided to take a refresher course with Lucy. The lessons were fast paced and Lucy was very kind and patient with me. I always felt relaxed and Lucy kept me calm by being friendly and supportive. Lucy was always willing to explain and reiterate any points I was unsure of. Pass with Lucy. I did!!! I passed with Lucy, a good car and friendly helpful instructor. Lucy is a great instructor, very patient, she explains things in a simplistic way, in a way which is easy to understand. Leading up to my test she had every confidence in my ability and kept reassuring me of this.